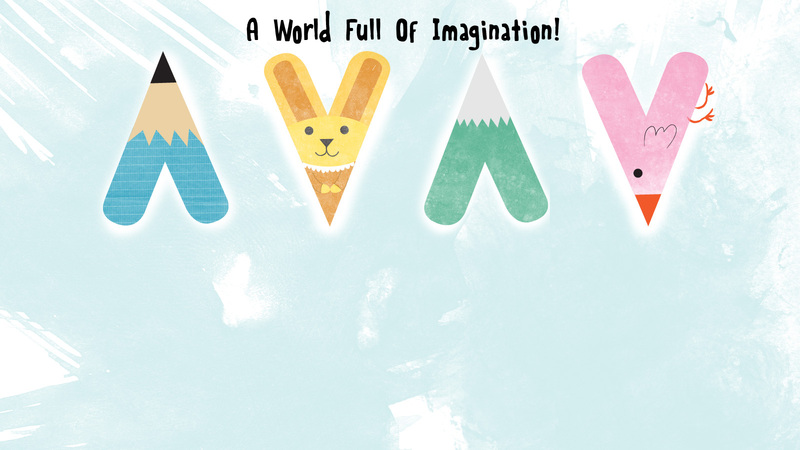 Amazing Art Shuttle is a vibrant and energetic art education company, seeking to inject fun and excitement into Singapore’s Art Education scene. Led by a house full of young minds, we offer fresh, original concepts and ideas, striving to bring about engaging and interactive art events, workshops and programmes to the mass public. 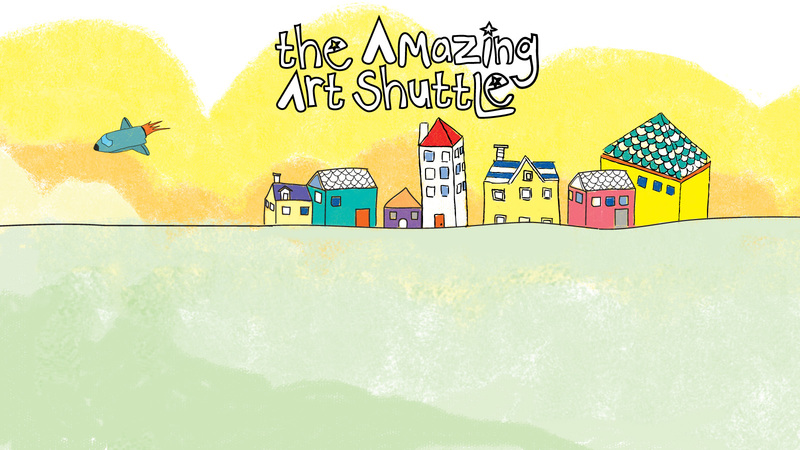 The Amazing Art Shuttle aims to help children retain their uniqueness and creativity by exposing them to fun and exciting art programmes! 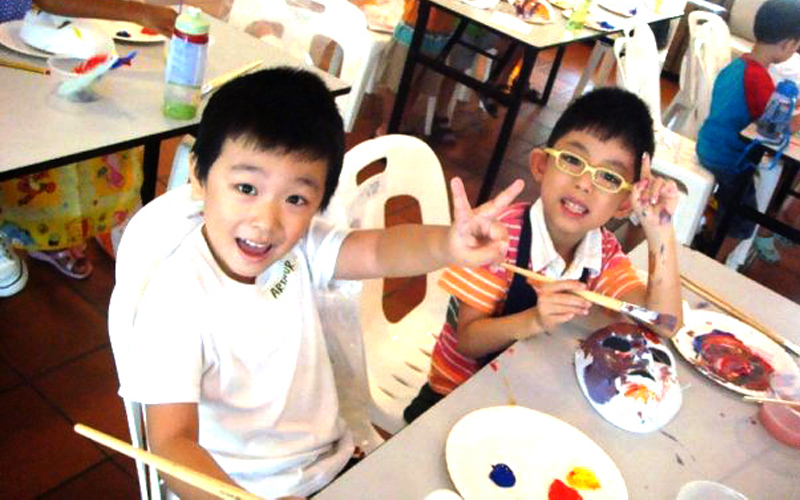 Our goal is to help Singaporean kids loosen up and have fun with Art and to empower them with the confidence to create their own art works. There is no right or wrong with Art, just beautiful energy of expressions! We believe in the importance of Art education and its contribution to children’s character development and soft skills (eg: values such as patience, confidence and determination), thus we are always challenging ourselves to create art programmes that amplify these beliefs. At The Amazing Art Shuttle, we are committed to finding new ways in making Art more interesting for kids and to open up their eyes to the endless possibilities of what Art can do for them. We want them to know that Art is more than drawing and painting. Our courses are about embarking on a whole new discovery of what children can achieve with Art. Thus we believe in creating accessible and affordable art programmes for Singaporeans. We not only cater regular art classes for children, but we also create innovative and interesting Art Outreach programmes to reach out to the heartlands crowd. This is made possible by partnering different Art corporations such as Singapore Art Museum, National Heritage Board and even Affordable Art Fair to make our art programmes more accessible. 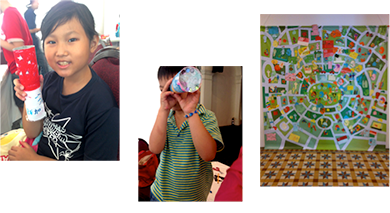 We are always striving to create engaging art programmes that will benefit children all around Singapore. Our Little Artists’ classes are specially designed for children aged 3.5 – 7 years old. 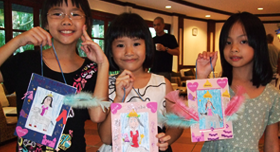 The classes aim to expose your child to a fun and interesting Art experience. Suitable for beginners, they will be introduced to the concept of drawing using shapes and lines. The media taught during the classes would vary from water-colour paints, oil pastels, soft pastels, clay and even crafts. Our classes not only seek to expose your child to various fun and engaging media but also help to improve their self- confidence in the way they express themselves. From the classes, they learn how to express their ideas into visuals and also gain confidence when they see their motor skills improve. We believe in helping children transform into happy, creative and expressive all-rounders. 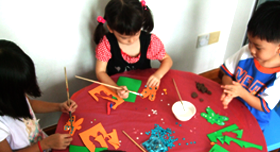 Introduction of different themes each week such as animals, marine creatures, humans, vehicles and many more. 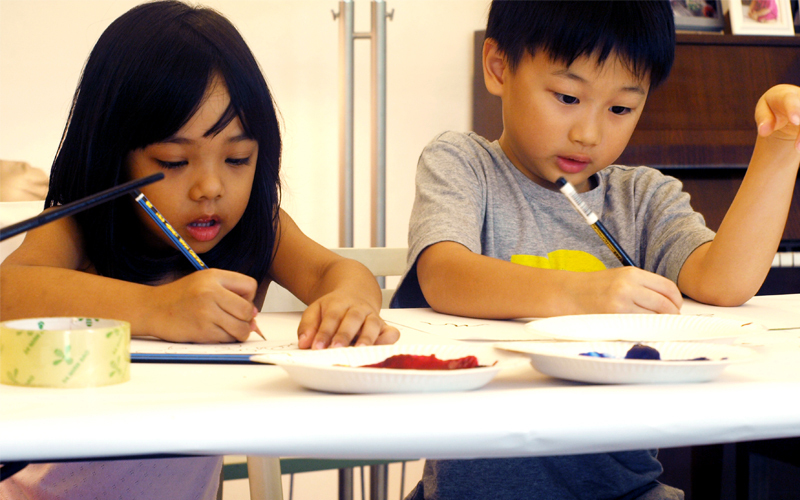 Our Amazing Artists’ classes are designed as a continuation from our Little Artists’ classes. They are suitable for children who have been attending the beginner classes and also cater to new students from the age of 7 years old and onwards. These classes build on the foundation of the Little Artists’ classes and seek to reinforce concepts that they have been introduced to such as perspective, shading and creative drawing. They will learn more in-depth skills to help them fuel their creativity such as drawing from realism, independent drawing, shading and blending skills and the understanding of perspective and proportion. Further exposure to different Artists will be given, and they will be encouraged to understand the various Art Concepts such as Abstraction, Expressionism, Realism and Colour Theory. 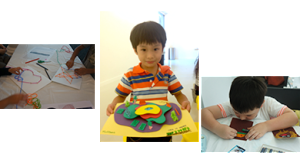 We aim to further develop these budding artists into confident, expressive artists! Join us for refreshments on 13 Sept Sunday, 12pm! 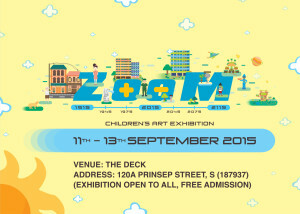 ZOOM is happening very soon! 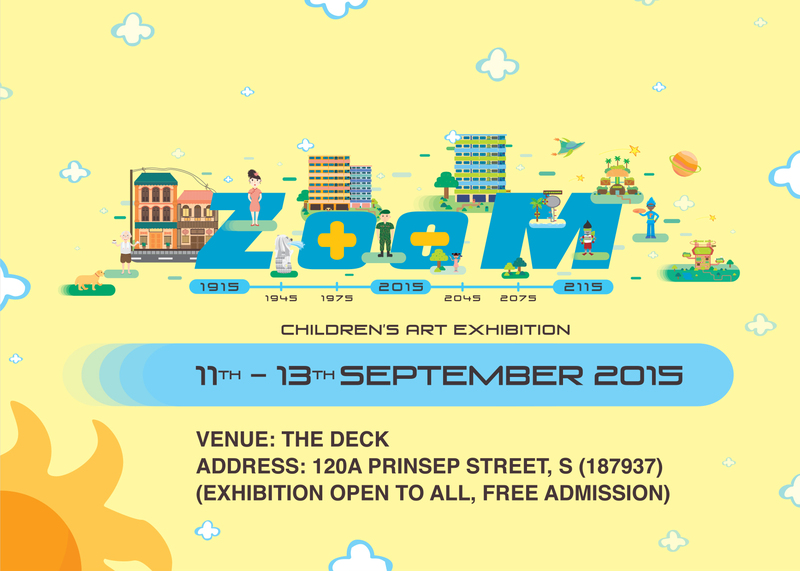 Join us on 11 – 13 September for an exciting art-packed weekend at the DECK, hosted by Amazing Art Shuttle! Enjoy the works of Amazing Art Shuttle students, celebrating our nation’s Golden Jubilee with a wide array of artworks in different mediums. 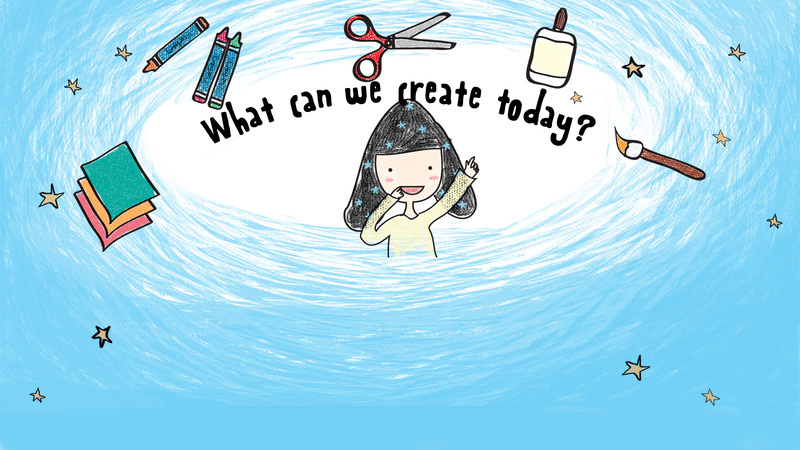 Bring along friends and family for the day and get creative with art and craft activities lined up! Enjoy a festive weekend with balloon sculpting and face painting, or get really hands-on and creative with our Outdoor On-The-Spot Art Competition! Have a part in building our community in Singapore! Interact with the installation of Futuristic Singapore on showcase and create your own unique neighborhood character. Place it around the artworks to create a busier and livelier neighbourhood! Singapore mascots such as Singa the Lion and Water Wally educated the public about courtesy and water conservation. 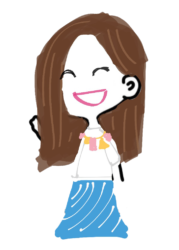 Create your own special mask-mascot that will help Singapore to be a better place in the future! Enjoy the day with balloons and face painting and get your picture taken with your loved ones to celebrate Singapore’s Golden Jubilee to take home as a special memory! For all young artists aged 4 to 12 years, we invite you to DECK for Amazing Art Shuttle’s on-the-spot Art Competition 2015! 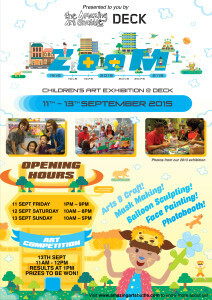 This year’s theme “ZOOM!” commemorates Singapore’s 50th birthday. Share with us how you think Singapore will ZOOM forward. 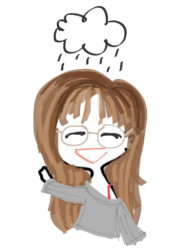 Tell us your hopes and dreams for Singapore in the future by drawing it out! The best visionary will take home a special prize. Refreshments are provided. Recommended materials: Dry mediums such as crayons, pencils, colour pencils. If using watercolour paint, do bring along other necessities (containers, paintbrushes, etc) as we only provide drawing paper. Bring along your umbrellas and picnic mats for a more comfortable session. 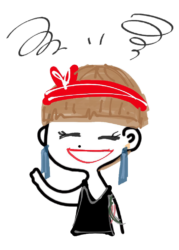 Check out their works here! If you wish to join us on another workshop together with your child, fret not, we have one upcoming this Sunday 29 June – UNEARTHED – that you can join together as a family! 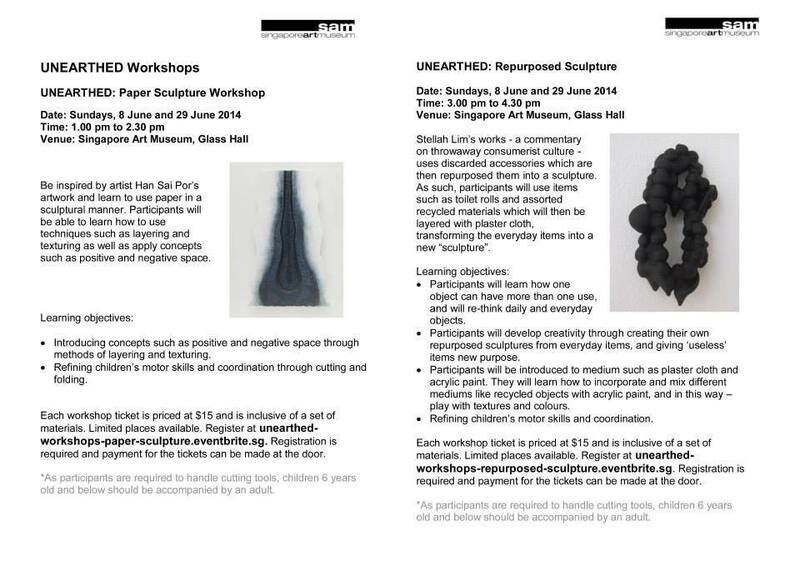 We invite all family members, parents, children and elderlies down to Singapore Art Museum this Sunday 29 June 2014 to create your very own sculptures! Inspired by two artworks in UNEARTHED exhibition, explore the different ways of using paper instead of the conventional drawing on paper in our Paper Sculpture Workshop (1 – 2.30pm). And perhaps join us to learn a new medium using plaster clay and acrylic paint to re-create household objects and find new meaning in used objects in Repurposed Sculpture Workshop (3 – 4.30pm). Join us for both (or either or) workshops and get creative with your family! Do have a look at this poster on how to be registered for these workshops. Cost of one workshop is $15 for one set that can be shared by one parent and child. See you then! Amazing Art Shuttle and the museum is celebrating National day with a kaleidoscope, collaborative mural and an experience in the dark! This open house is inspired by SAM’s current exhibition Sensorium 360, where it explores all of our senses and how it plays a great part in navigating and exploring our world around us. 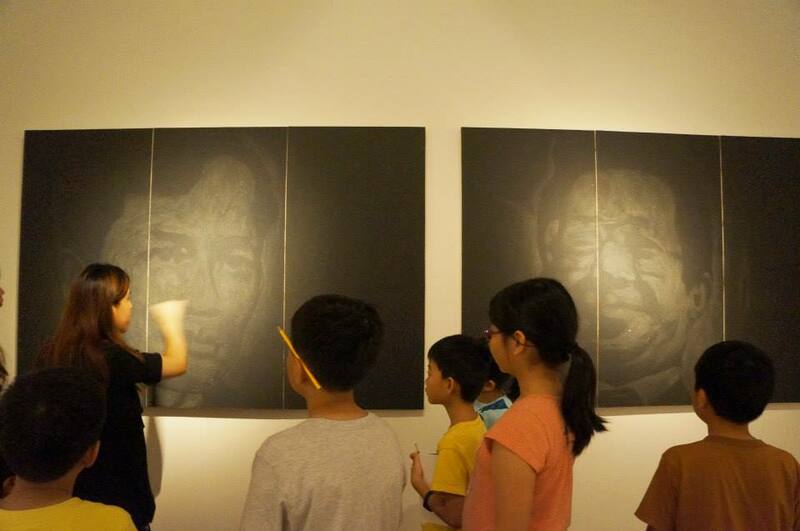 Learn about Medium at Large, Singapore Art Museum’s current exhibition, through our art activities! This open house may be our most diverse workshops as yet, as we are using so many different mediums. Come explore the mediums of string, paper, sandpaper and paint with us and enjoy the festive spirit of Hari Raya! Yearning to host a spectacular birthday party for your child this year? Look no further! The Amazing Art Shuttle will bring your child’s party to a new level with our creative art ideas. Be it a Princess theme, Beach theme or a Dinosaur theme, we will cater our art activities according to your child’s request. We can work around your party’s needs: be it a gathering in your home or at a function hall. Your child will not only get to celebrate his/her birthday with friends but also get to bring home a wonderful birthday souvenir! There’s no need to crack your head over how to entertain your child this year; just give us a holler! Materials will be provided. For more information please contact Lena at 90289033 or Joanne at 91807273 . You may also email us at admin@amazingartshuttle.com. Amazing Art Shuttle Pte. 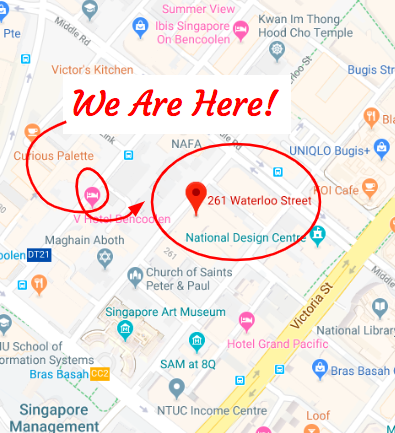 Ltd. is a vibrant and energetic art education company, seeking to inject fun and excitement into Singapore’s Art Education scene. Led by a house full of young minds, we offer fresh, original concepts and ideas, striving to bring about engaging and interactive art events, workshops and programmes to the mass public. We are always on the lookout for new collaborations and partnerships with different Art corporations or companies to work with. Over the past 5 years, we have worked with both private and government bodies to bring innovative and engaging art programmes to Singaporeans. 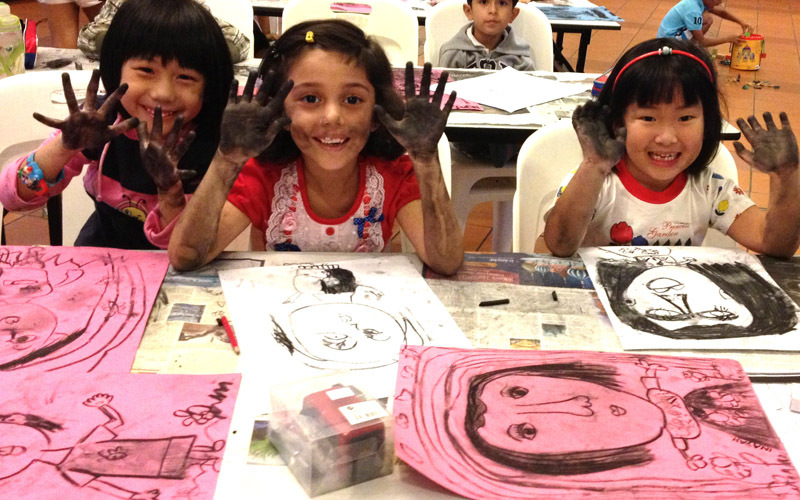 Aside from events, we provide weekly quality art classes to children living in the heartlands. We aim to bring about a better understanding of the benefits of art through an immersive and integrated learning curriculum. 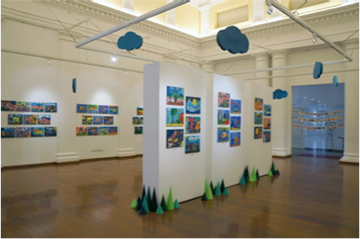 Amazing Art Shuttle has conceptualized and curated two in-house exhibitions, ‘Worlds from Within’ at Arts House (2012) and ‘Joyride’ at National Library Board (2013), showcasing original works created by our students in our regular art classes. We also had the opportunity to tailor creative art workshops and activities according to the requests of our various clients, such as Affordable Art Fair Pte. Ltd, Singapore Art Museum, National Heritage Board, Housing Development Board, People’s Association, Peek-a-Boo Playground and such. This exhibition showcased our students’ works, which were created and brainstormed in our weekly lessons. It was in collaboration with Student Advisory Centre, a children’s charity, and supported by National Library Board, showcasing our students’ interpretation of the word ‘Joyride’. 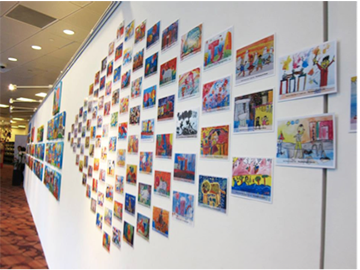 Art activities were held around the National Library such as brooch making and a collaborative mural. Send us an inter-galatic mail to let us know what you are thinking! We may be busy shuttling around Singapore, but we will always find time to read our mails back at our headquarters. At The Amazing Art Shuttle, we always welcome your feedback. We take pride in thinking of the best ways to teach your child. Thus feedbacks and suggestions are always welcome. They will help us improve on our programmes and services to bring about an even better experience for your child. Material on this website is copyrighted and may not be copied, reproduced, distributed, republished, uploaded, posted, or transmitted in any way without the prior written consent of the copyright owner. Copyright © 2015 Amazing Art Shuttle Pte Ltd. All rights reserved.